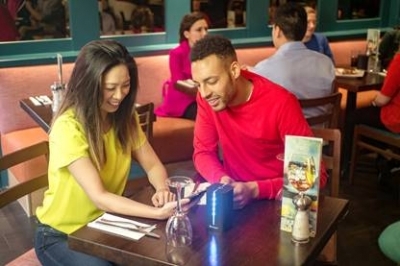 The Barclaycard developed ‘Dine & Dash’ software has been unveiled at a time when new research by Barclaycard has revealed that waiting for the bill is the most frustrating part of eating out for over a third (36%) of Brits while a quarter would consider walking out without paying if the wait for the bill was too long. Restaurant staff won’t think customers have done a runner either, as the totem on the table will change colour to show successful payment. Diners can also check out in the app where they will have the option to split the bill, add a tip, apply a discount. No matter which method they use, all diners can see their bill total in real time and receive a digital receipt, so they can keep track of their spending. Dine & Dash is being trialled at the St Martins Lane Avenue Prezzo restaurant in Central London on 13 March.